Crystalens and Trulign Toric are premium intraocular lenses (IOLs) that correct presbyopia as well as common refractive errors, enabling an expanded range of clear vision and a decreased need for eyeglasses after cataract surgery, compared with surgery performed with conventional monofocal IOLs. Currently, Crystalens and Trulign Toric IOLs are the only FDA-approved presbyopia-correcting IOLs for cataract surgery that improve near vision by a focusing process called accommodation. This is why they are classified as "accommodating IOLs." Both lenses are manufactured and distributed by Bausch + Lomb. Accommodation is a process that enables the eye to adjust its focusing power to provide clear vision at all distances. Watch this video about how cataract surgery works. Accommodation is made possible by the lens inside the eye and the circular muscle that surrounds the lens, called the ciliary muscle. The lens and ciliary muscle are connected by a 360-degree series of fibers (called ciliary zonules) that extend from the ciliary muscle to the thin lens capsule (or "bag") that encloses the lens. The ciliary muscle, ciliary zonules and lens capsule keep the lens suspended in its proper position inside the eye for clear vision. In a normal eye (without presbyopia or cataracts), this dynamic process of accommodation adjusts the focusing power of the eye by changing the thickness of the eye's natural lens. When the ciliary muscle is relaxed, the lens flattens to enable clear distance vision. When the ciliary muscle contracts, the lens thickens, becoming more curved for added magnification for clear near vision. In a young eye, accommodation is essentially instantaneous and effortless. As the eye ages, the lens becomes less flexible, causing the loss of near vision that is the hallmark sign of presbyopia in people over age 40. During cataract surgery, a circular opening is cut in the anterior part of the lens capsule so the surgeon can remove the eye's natural lens that has become cloudy. This step is called an anterior capsulotomy. The peripheral and posterior portions of the lens capsule are left intact, forming a partially open "bag" that the intraocular lens is positioned within to restore focusing power to the eye. All IOLs have a central optical zone, with peripheral "legs" (called haptics) that secure the lens implant inside the lens capsule. The primary difference between a conventional monofocal IOL and an accommodating IOL is the design of these haptics. In a conventional IOL, the haptics are designed to keep the optical portion of the implant stationary, with no rotation or anterior/posterior movement that could affect vision. In an accommodating IOL, the haptics are designed to keep the IOL securely in place and prevent any rotational movement, but the legs are flexible in a way that allows the optical portion of the IOL to move slightly forward upon contraction of the ciliary muscle. In this fashion, an accommodating IOL can expand the range of clear vision after cataract surgery, providing better near vision without eyeglasses than what is possible with a conventional monofocal IOL procedure. The Crystalens IOL and the Trulign Toric IOL are very similar in design and both correct presbyopia. The primary difference between these two FDA-approved accommodating IOLs is that the Trulign Toric IOL can correct astigmatism as well as nearsightedness or farsightedness. Though Crystalens and Trulign Toric accommodating IOLs provide an expanded range of clear vision compared with conventional monofocal intraocular lenses, you may still need reading glasses to comfortably see small print and perform other near vision tasks. That said, most people who choose one of these accommodating IOLs are very pleased with the greater freedom from eyeglasses they have after cataract surgery. Another type of presbyopia-correcting IOL that is an alternative to accommodative IOLs is the multifocal IOL category. Like multifocal contact lenses, these premium IOLs have more than one power, with added magnification in certain zones of the lens for improved near vision. Both categories or presbyopia-correcting lenses — accommodating IOLs and multifocal IOLs — have advantages and limitations. Generally, while both designs expand the range of clear vision compared with conventional monofocal IOLs, accommodating IOLs tend to provide sharper distance vision than multifocal lenses, and multifocal IOLs tend to provide more magnifying power for seeing fine print than accommodating IOLs. Your cataract surgeon can help you decide if accommodating IOLs or multifocal IOLs are the right choice for your particular needs during your preoperative eye exam and consultation. Crystalens and Trulign Toric accommodating IOLs are premium intraocular lenses and therefore cost more than conventional monofocal IOLs. Also, the added cost of these presbyopia-correcting IOLs typically is not covered by Medicare or private health insurance. 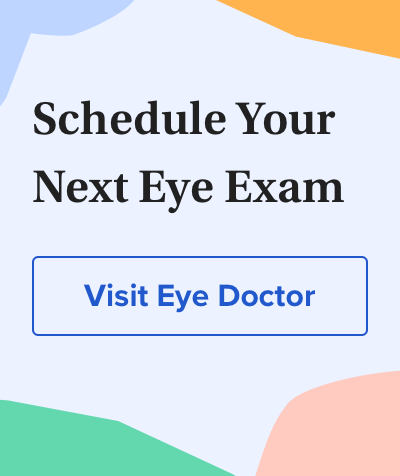 You can expect an additional out-of-pocket cost of $1,500 to $3,000 or more per eye if you choose an accommodating IOL, especially if you also decide to upgrade to a laser cataract surgery procedure that many surgeons recommend to achieve the best possible vision with a presbyopia-correcting IOL.